Whether you’re interested in gaining more leads, subscriptions, or sales, multivariate testing can give you the major conversion rate boost that you expect. It’s unfortunate that only 22% of digital marketers are satisfied with their conversion rates. The good news is that multivariate testing can change all that. When you consider that your website is comprised of a series of elements, including text, images, videos, forms, and graphics, it becomes important to find the exact combination of those elements that prove to be the biggest hit with your audience. For instance, are the images on your site the best they could be? What about the layout and navigation structure of your site, or the tone of your content? These elements should all be thoroughly studied and carefully gauged if you hope to maximize conversions, be they leads, subs, or sales. This is where multivariate testing comes into play, and there’s a good reason the technique is used by a little over half of all successful digital marketers. Did you know Crazy Egg offers a 30 day Free Trial? Sign up and increase your site’s conversions now! Using multivariate testing protocols, you can successfully transform your site into a lead, subscription, and sales generating machine. Multivariate testing in marketing refers to the practice of testing the various elements of your website in conjunction with one another. The “Multi” in multivariate speaks to all the combinations of elements that can be tested simultaneously. For instance, you might test new images and new content, a different navigation structure along with a new introductory video, and so on. 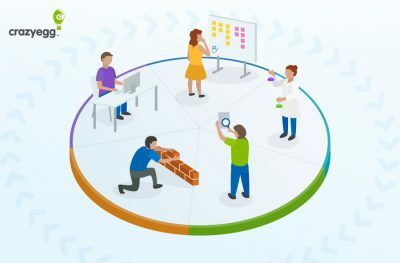 There are so many combinations of elements to test that multivariate testing strives to make the testing process efficient and productive so that you get the best, actionable results. With the various multivariate testing tools available today, you can conduct these tests in real time and with the same audience. You simply send various combinations of website elements to your audience at different times, then assess the results to determine which combinations work best with regards to maximum conversions. If this sounds confusing, not to worry. The process isn’t that complicated once you actually begin putting it into practice. First, it’s important to make a distinction between another popular web testing process, A/B testing, and multivariate testing. Multivariate testing can actually yield far more important and insightful results. Multivariate split testing is not the same as A/B split testing. Here’s why. A/B testing is where you create two seemingly identical web pages; only you’ll change a single element on those pages. For instance, you may show one headline to your audience at a particular time, then switch the headline to a different one to see which one experiences the most engagement. If one headline gets more traffic and conversions, that website element is obviously the winner and should be retained. With that headline solidified as the best element for the page, a new element may be tested, such as the primary image or the tone of your content, or anything else you wish to test. With multivariate testing, you are able to test multiple combinations of elements at once. The biggest difference with A/B and multivariate testing is the amount of time and traffic required. Since A/B testing is only gauging a minimum of a single element alteration at a time, a minimal amount of traffic can be used. That’s because your audience is split fifty-fifty. With A/B testing, the time to receive results is also short, giving you valuable information you can use to improve your site bit by bit. Multivariate testing, on the other hand, requires a bigger chunk of traffic. That’s because your audience may be split into quarters, eights, or even smaller segments. For that reason, your multivariate testing results may take a little longer to come in, since you’re testing every combination possible of a particular website. Here’s another important difference. While A/B testing can help you determine how to improve your site, multivariate testing gives you much more valuable insight, such as why your audience responds the way it does. 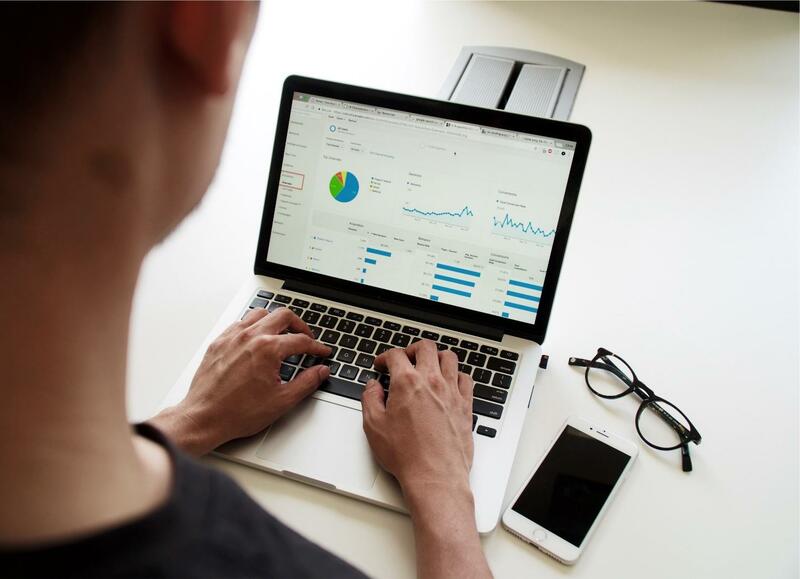 Once your website has received enough traffic to run a multivariate test, the data from every variation used will be used to identify the most successful design, as well as reveal which elements have the largest positive or negative impact on audience interactions. One of the most important benefits of this type of website testing is that you’ll get real-life, factual data that can help with any website redesign efforts. Instead of changing elements on a whim, you get to create many variations of your site until you see which one actually works with the audience you’re targeting. The data you glean from multivariate testing can then be applied to future campaigns, such as when designing new landing pages for instance. Since you already know which combinations of elements your visitors, prospects, and customers prefer, you will be able to apply that knowledge any time you have to build new pages for enticing leads, subscribers, and buyers. This is the primary reason why all web marketers should adopt multivariate testing, and that’s to boost the site’s conversion rates. While an e-commerce site may only focus on sales conversions, the term “conversion” can mean different things depending on the marketer. A conversion could be a successful web form signup; it could be a share on social media or any other “goal” the marketer has defined. With multivariate testing providing you with the ability to determine which form elements are most viable, which calls-to-action motivate users to act the most, and which product pages are ideal for greasing the skids toward a purchase. Multivariate split testing sounds like a complex affair, but it’s really quite simple when you break it down into easily manageable steps. Here is how to perform MVT testing on every site and page you have published online for higher conversions and to get the most from your web marketing efforts. Before you begin testing your website, you should attempt to look at it with fresh eyes. That is, see if you can view your website as if you were a new visitor who had never seen your graphics, images, text, navigation, and all other content elements previously. This step is necessary so that you can take notes of any web elements that seem to stand out. Is your call-to-action a bland color and could it possibly be made more noticeable? Do your images need work as far as quality and relevance are concerned? Does your text leave questions unanswered or is it too long or too short? Make sure during this process that you spend time really gauging your site’s content and be sure to pay special attention to the critical pages of your site, such as landing and product pages, for example. Multivariate testing statistics show that MVT testing leads to conversion rate improvements 27% of the time as opposed to 14% with mere A/B split testing. However, in order for multivariate split testing to be as effective as possible, proper protocol must be followed. The first step is to identify possible issues with your site, which you just did by looking at your various pages with fresh eyes. For any important pages that aren’t converting as you’d like, such as your landing or product pages, your next step is to form a hypothesis as to why visitors aren’t converting like they should. Once your hypothesis has been made, you’ll want to think of possible solutions. For example, the image on your product page could be clearer and use more angles so as to show more benefits and features that customers might be interested in. Or, your call-to-action could be brighter with more direct language used so as to maximize the number of people who click-to-buy. Once you have a good idea about which elements you want to test, you can proceed to the multivariate testing process. Here is where you will infuse your site with new web elements to test, such as clearer and more relevant images, calls-to-action that are made brighter with more direct language, and text that could be made more factual, easier to read, and written to entice the conversion. For multivariate testing to be effective, your sample audience needs to be representative of the whole. If you choose too small of an audience sample, your results may not be accurate, and your MVT efforts will be wasted. 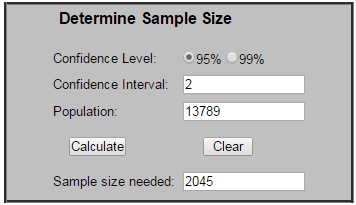 To determine how much of an audience sample you can use, it helps to use a sample size calculator. First, you’ll need to identify the Confidence Level. 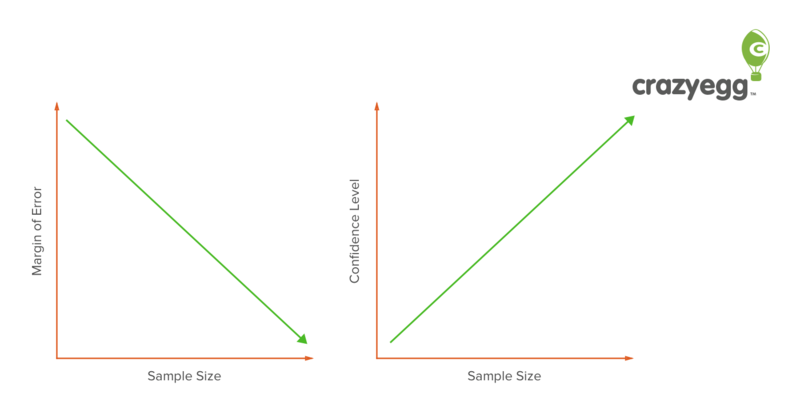 With a statistical testing method like MVT, there is no such thing as a 100% confidence level, as that would require using a sample size that is equivalent to the entire population. Since you’re using a sample of the entire population, your confidence will typically fall to 95% or 99%. For most multivariate tests, 95% is considered to be the optimal confidence level, whereas 99% is usually reserved for things like pharmaceutical testing, where the consequences of an inaccurate conclusion can be severe. Essentially, the confidence interval is a determination of how certain you want to be of your results, taking into account the margin of error. While the confidence level should be high, you want the confidence interval to remain low. Thus, the required sample size will increase along with your measures of certainty. To fill out the sample audience size calculator correctly, you’ll next need to define your total audience size. The larger your overall audience population, the more certainty you’ll have and the larger your sample size. With your multivariate testing subjects and sample audience size selected, you can begin the MVT process. Once again, multivariate testing takes a larger audience sample size and greater amounts of time to yield valuable results. When the traffic comes in, and the results are tabulated, your hypothesis will be proven or it won’t. But at least you’ll have scientific evidence to draw on whether you should redesign your site, or not. To improve your MVT results, your job is to drive as much traffic to the website being tested as possible. You can use paid advertisements, social media, and other traffic generation methods in order to prove or disprove the hypothesis currently in play. This is a must, as multivariate testing requires lots of data to be successful, and the data you need will come from a major boost of new and returning website visitors. Now comes the time to assess the results of your multivariate testing to see if your hypothesis has indeed been proven. With so many elements being tested at once, once again, this can be a time-consuming process. Multivariate testing is also a technique that should be ongoing and repeated often. After all, you want to ensure the validity of your tests and you want to make sure that your audience preferences haven’t changed, allowing you to deliver what your prospects and customers always want most. You now have the basic steps to MVT, but what follows are some tips to help you get the most of this advanced and highly valuable digital marketing technique. If they’re not looking to buy something outright, most people visit websites for information, and that means content. Content on a website can refer to text, images, videos, and anything else consumed. For your website to be a conversion optimization machine, you’ll want to ensure that all elements of your site seamlessly mesh together. Your text should be well-written, free of errors, and factual so as to present all necessary information. Your images and videos should then complement your text by being of the highest quality. If your content is lacking, it may be time to hire a professional writer, graphic designer, and video marketer to ensure your content marketing is always on point. Of course, multivariate testing can make sure you’re on the right track whenever you move to make any content changes. As an added tip, you might consider altering your tone somewhat. Instead of being professional, you may want to be more laid back and conversational, and vice versa. With multivariate split testing, you’ll want to make sure your tone of voice matches the one your audience expects. Only by playing around with different tones during MVT can you hope to pinpoint the one that successfully boosts your site’s conversions. When it comes to your website layout, think “Lean.” Your colors should be simple, yet pleasing to the eye. Your layout should present just enough content to convince the visitor to convert while discarding anything that may be considered extraneous. So, think simple, with regards to color, navigation, text, images, videos, and all other website content. One way to make your site lean enough for mass conversions is to limit the number of form fields you require. When engaging in multivariate testing, you’ll want to gauge how many form fields it takes before your site visitors give up. Typically, a form will follow the K.I.S.S principle (Keep It Super Simple). For example, by only asking for a name and an email address, site visitors are more likely to convert and less likely to bounce. If you need more information than that from your site visitors, test additional form fields, but don’t try too many. Studies show that forms should be clean with large text and fewer form fields if you hope to achieve more conversions. However, you’ll want to test this “hypothesis” with multivariate testing and your specific audience just to be sure. 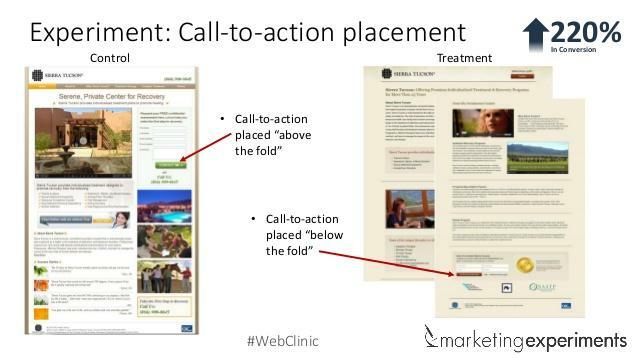 Your calls-to-action can help or hinder your site’s conversions. If your conversion rates are lower than you’d prefer, you might want to consider different colored CTAs, using different language, and finding new locations to place your calls-to-action site-wide. This is another area where multivariate testing can come in handy, as you’ll be able to determine in real time what it will take to get your audience to buy with the right hypothesis and testing protocols. As a general rule, it’s a bad idea to put more than one call-to-action on any single page. This makes your website confusing for the average site visitor and keeps you from experiencing the conversion rates you deserve. Instead, try to limit your CTAs to one a page, particularly on landing pages, but do have one on every page so that visitors to your site always have a way to get in touch, subscribe, or buy. Your ultimate goal with multivariate split testing is to find those elements that get your audience to choose you over the competition. This is why you’ll want to test all those combinations of elements that evoke emotion in your audience, that get them to see why they should choose you over any competitors, and that show you’re the best in the business with regards to your field. You should be presenting your website visitors and prospective customers with signup forms, offers, and any other conversion-ready offer as early as possible. The longer you wait to present the offer, the more chances you’re giving visitors to bounce and select another website for their needs. This is one aspect you’ll want to test with multivariate testing protocols. Try to pitch your offer as quickly as possible, but not so quickly that the visitor isn’t properly informed. With MVT, you can find that sweet spot that boosts conversions without losing valuable leads, subscribers, and customers. A good rule of thumb is to give website prospects as few choices as possible. The more choices you provide, the higher the chances of your audience experiencing analysis paralysis. Using this knowledge, the next time you engage in MVT, try reducing the number of options you offer your website visitors. This may involve reducing the number of items in your navigation menu, reducing your form fields, and limiting your website to a single page with a “flat” design. After all, with studies showing that fewer choices actually lead to better conversions, you might want to think very simply with regard to your navigation and design if you want to significantly boost your site’s conversion rates. The most important aspect of multivariate testing is to remove any roadblocks to the site browsing and conversion processes. A major factor that causes this roadblock or “friction” between site visitors and your site is load time. Studies show that even a one-second delay in page load time results in 11% fewer page visits, a 16% drop in customer satisfaction, and a 7% loss in conversions. Your multivariate tests should then include hypotheses for reducing page load speed, such as decreasing the size of images and videos, for instance, two elements that can be data hogs and cause loss of speed. If you can manage to boost your speed, that could spell good news for your site’s conversions. Now you’re ready to put this information to good use for your own website. First, you need a solid plan. Follow the steps above and determine which pages of your site need the most work. Pay close attention to the most critical pages of your site, such as landing and product pages. As you engage in multivariate testing, keep track of every hypothesis that succeeds and fails. These can be used to boost conversions on future campaigns that utilize the same audience base. Using the latest multivariate testing software, you can make easy work of MVT to yield the data you need to exceed your expectations with regards to your conversions. One of the best tools you can use for multivariate testing is Crazy Egg, which offers a 30-day free trial. 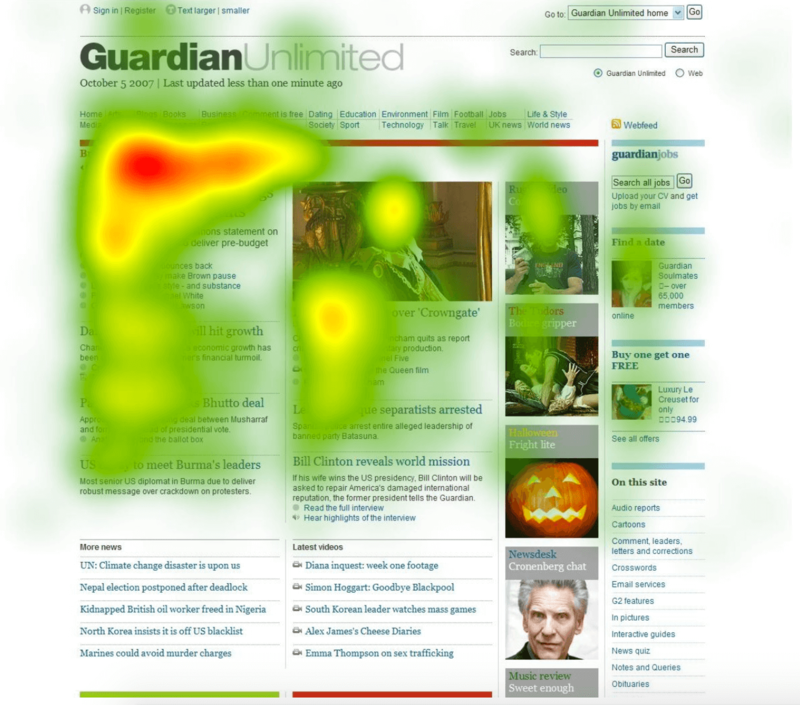 Crazy Egg was one of the early innovators of heatmaps, which give you a visual representation of all the actions your visitors take on your site once they land. In addition to heatmaps, you can always watch Visitor Recordings to see where people hover their cursors, how they navigate through your site, and other important data you can use to improve your site over time. Crazy Egg also offers the ability to segment your visitors by referral traffic and see the click breakdown of your visitors. One of the best features of Crazy Egg is the ability to engage in both A/B and multivariate testing at any scale. With a tool like Crazy Egg driving your results, you can determine which combinations of elements are truly effective for higher conversions and return on your investment. Multivariate testing can be complicated to figure out. After all, you’re using math and statistical analysis to improve your site, which can seem daunting to many. Luckily, tools like Crazy Egg make multivariate testing a breeze. First, you must identify possible friction points or roadblocks with your site; then you’ll develop your hypotheses. By driving traffic to your website, you can then use Crazy Egg to multivariate split test an infinite number of element combinations as you gather all the data you need along the way. Just remember that this isn’t a one-off process. MVT should be ongoing so that you’re always “in the know” regarding your audience’s preferences. With multivariate testing and a tool like Crazy Egg, higher conversions are only a test away. Sign up with Crazy Egg and get started with your free 30-day trial.